Thank you so much to Regina who sent this gorgeous card to Geography Cat, his first from the United States of America. 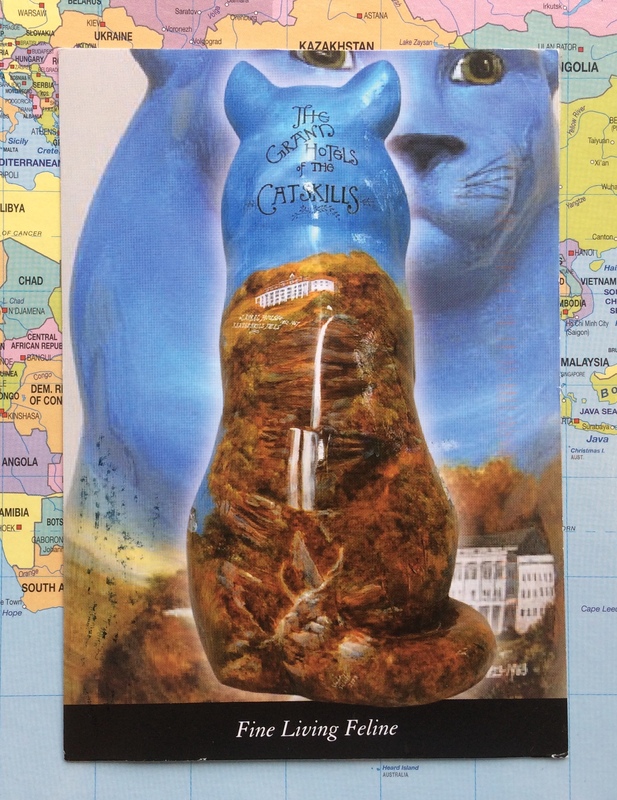 Regina tells us that the town of Catskill holds a festival of decorated fiberglass cats each year, from June until September, after which they are sold for charity. The centre of the cat featured on this postcard features the Kaaterskill Falls, a local landmark painted by many artists, notable Thomas Cole. You can find out more here.